Lurking in the midwestern shadows of Indianapolis and Cincinnati lies something full of more horror than any convention center could ever fathom…. So much horror, in fact, that HorrorHound Director Jason Hignite’s beloved genre convention, HorrorHound Weekend, had to upgrade its Indianapolis venue for this summer’s iteration in order to fit its mutant amalgamation of horror-themed vendors, celebrities, moviemakers and fans alike. Housed within HorrorHound Weekend is a reputable, up-and-coming genre film festival. 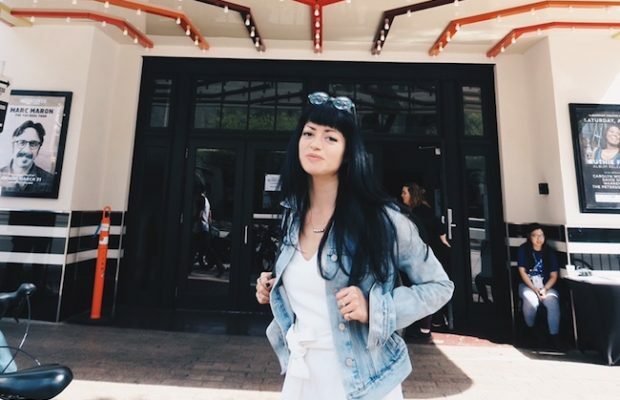 HorrorHound Film Festival (H2F2) offers independent horror filmmakers a creative space to network and spread their work to a much larger joint-convention audience. Like any good creature-feature monster, HorrorHound Film Festival has an intricate origin story, mutating from the likes of a fandom publication, the legend of HorrorHound’s genre convention namesake, and the Mistress of the Dark herself, Elvira. 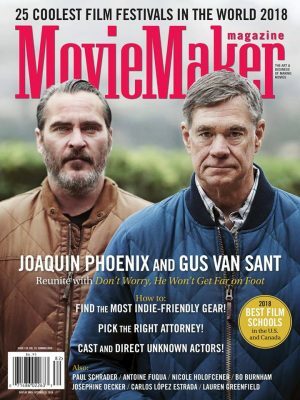 Grant Vance, MovieMaker Magazine (MM): Can you talk about the process of evolving a horror publication into a fully fledged film festival? In what ways is the mission of HorrorHound Weekend reflected in the operations and programming choices of HorrorHound Film Festival? Jason Hignite (JH): The magazine started in 2005 by a group of guys out of Cincinnati, Ohio, and the convention started in 2007. It’s ironic that HorrorHound Weekend started shortly after Fangoria stopped. This is not to say one caused the other, but that’s how it fell within the chronology of major horror genre conventions. HorrorHound has screened films from the very beginning, such as Let the Right One In, and the original Martyrs—early on a lot of films either got their American premiere or one of their very first screenings in the United States here. 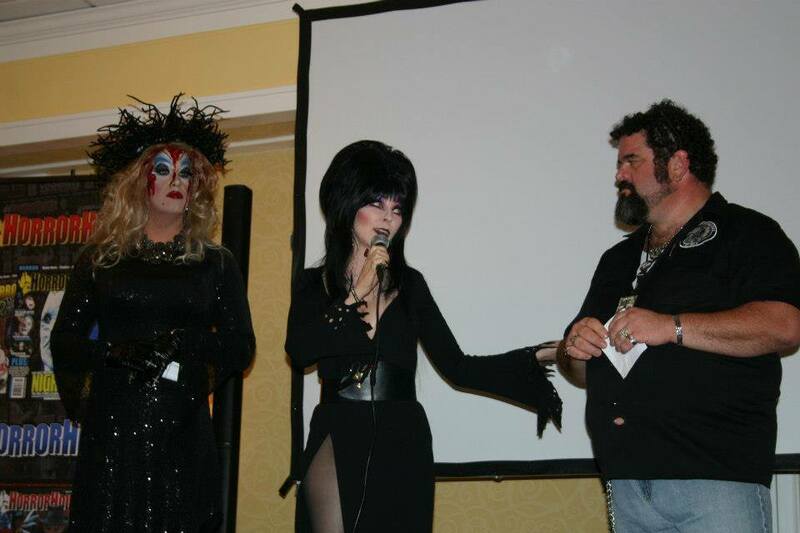 The formal film festival started when we hosted Cassandra Peterson, Elvira, as the guest at one of our shows. She mentioned that she was toying with the idea of a film festival called Elvira’s Horror Hunt, but she didn’t know how she wanted to go about all of that. I offered HorrorHound as the workforce—the ones who would screen and evaluate all the films, and then make recommendations to her, then she would make the final decisions as to which films won what accolades. What better reason than Elvira to kick off the formal, competitive film festival? Ever since then HorrorHound Weekend has included a competitive film festival. For the most part, twice a year, we’re doing the film festival as part of HorrorHound Weekend. We provide filmmakers with an opportunity to screen their film for one of the largest horror conventions in the US. Our Cincinnati show attracts over 30,000 people. 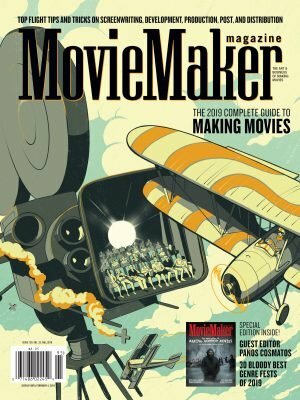 There’s a chance to screen their film in front of a very horror-specific audience in a high energy environment, and they also get coverage in the HorrorHound magazine. 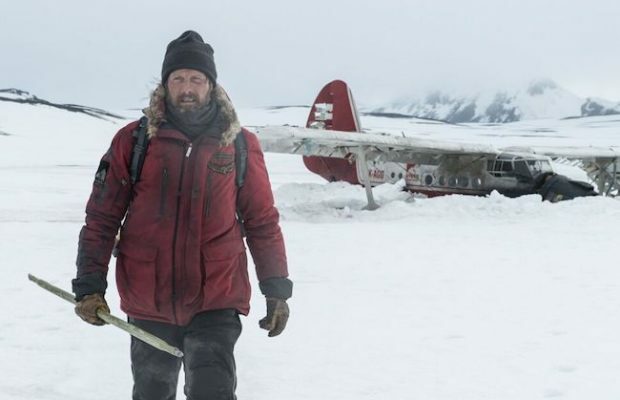 We write reviews for almost all of the films that we screen with the exception of some shorts, but all of the features at least get a published review and coverage on the website. We’ve had filmmakers come from Germany, Austria, and Mexico—it has a very international flavor. A lot of the filmmakers that make the journey get a chance to network with peers and notable, accomplished names in the horror genre during a closed filmmaker only event. 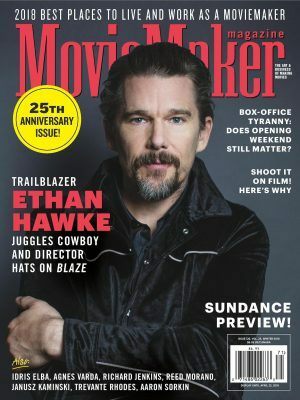 With the magazine, the online presence of HorrorHound, and the convention, HorrorHound Weekend works hard to give the filmmaker that extra level of exposure for their film. Your typical film fest attendee is not always your typical convention attendee. People who go to horror conventions aren’t always the same people who go to horror film festivals. But the fact is, we’re drawing a lot of cosplayers to our show and a lot of people who are absolute to-the-bone horror fans. They aren’t necessarily people who always go to film festivals, but the filmmaker gets to show their film in an environment with a large cross section demographic of horror fans. It’s a slightly different environment. H2F2 grew out of Elvira’s dream to launch a film fest called Elvira’s Horror Hunt. Image courtesy of HorrorHound. MM: How does the HorrorHound Film Festival help independent filmmakers get their name out there? JH: Horror has always been independent film oriented; the original Halloween was an independent film; the original Texas Chainsaw Massacre was an independent film. But there started to become a very large swell in the the 2000’s, particularly with Paranormal Activity-type movies. Let the Right One In, Martyrs, Inside—the European trilogy of independent horror—really kicked off a resurgence of American-made independent horror. People argue this is for a lot of different factors. 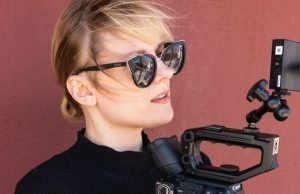 I say technology caught up with [filmmaking] and made it affordable for your average filmmaker to make a very high quality production. The cost and efficiency of your cameras, your editing software, audio capturing software and your basic effects became very affordable. 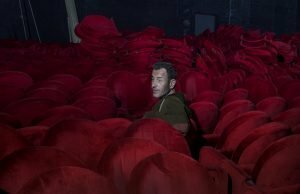 Now you can put many independent films straight into the theater, and no one knows that they aren’t studio-produced films. 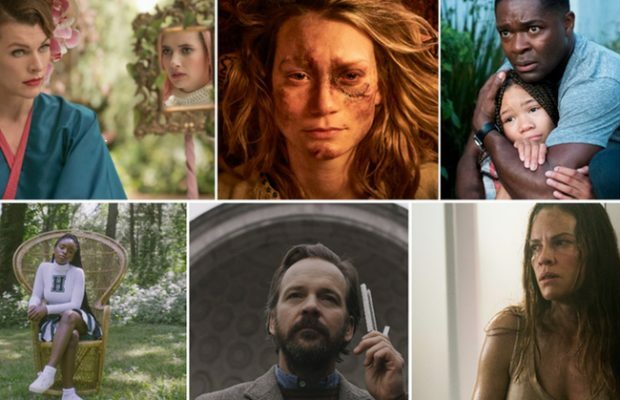 We started seeing all these amazing looking independent films coming in, and it was a natural time to launch a competitively judged film festival with awards within the horror genre. MM: What are your goals for the coming year and years beyond as you continue to develop the festival’s curatorial sensibility? What’s the criteria of submissions? JH: We look for a good cross section of horror. We don’t want all slashers, all paranormal, or Sci-Fi. We like to have a good mix of everything: Horror comedy, a slasher or two, something paranormal, something a little more cerebral, maybe something more low-brow. We’ve screened stuff from Tom Holland all the way to Troma Productions. Actor Ethan Embry and the audience of The Devil’s Candy celebrate a successful HorrorHound screening. That’s why the greater community of horror fans love horror so much—it’s so exciting. 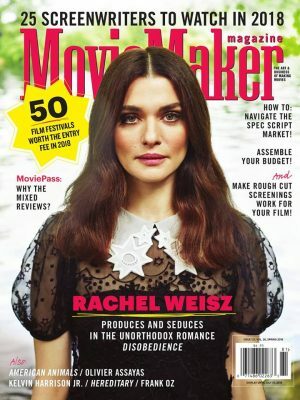 Nothing against any other genre of film, but I just can’t imagine being a die-hard romcom fan. They are what they are, and while I love When Harry Met Sally, the variety just isn’t there. JH: Are there any common misconceptions about genre film festivals that HorrorHound seeks to correct? MM: To a certain degree people who have never been to film fests view them as a high art—the same way they view art gallery shows. We see a lot of people who come to our shows end up having an amazing experience and then realize there are other horror film festivals. We’re happy to point them in that direction. We’ve bridged that gap for horror fans who now see that film festivals are for people like me. 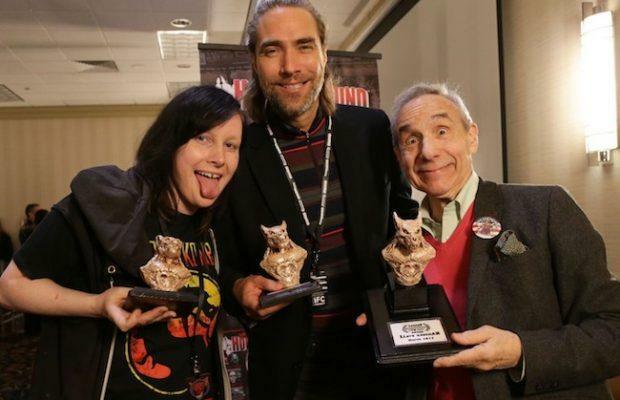 Lloyd Kaufman received the special Legend Award in 2017 for his contributions to the independent horror genre. Not all of the great titles at film festivals make it to the theater. There’s a section that gets distribution that you might see on the shelf at Walmart, or on Netflix, but unfortunately a lot of great titles fade away. 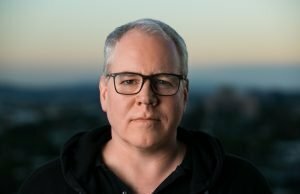 There are horror stories out there about films that get picked up for distribution, and it’s not always a great experience for the filmmaker. We hate seeing that, and as a result HorrorHound is slowly starting to enter the distribution market. 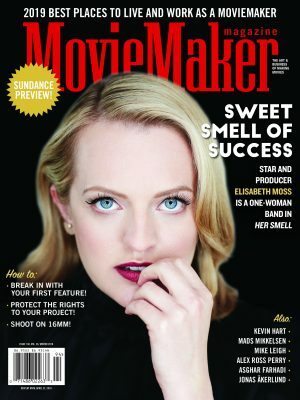 MM: What are jurors looking in competing films? What can filmmakers who are accepted into the fest expect in terms of prizes and rewards? JH: We use Film Freeway for submissions and have an international film selection committee with people in London, Dublin, Ireland, and across the United States. The judges are a dedicated fan base within the genre with some filmmakers and even a PHD professor. Dave Pruitt, who used to be the director of the Dark Carnival Film Festival, has also been with us now for a couple years. 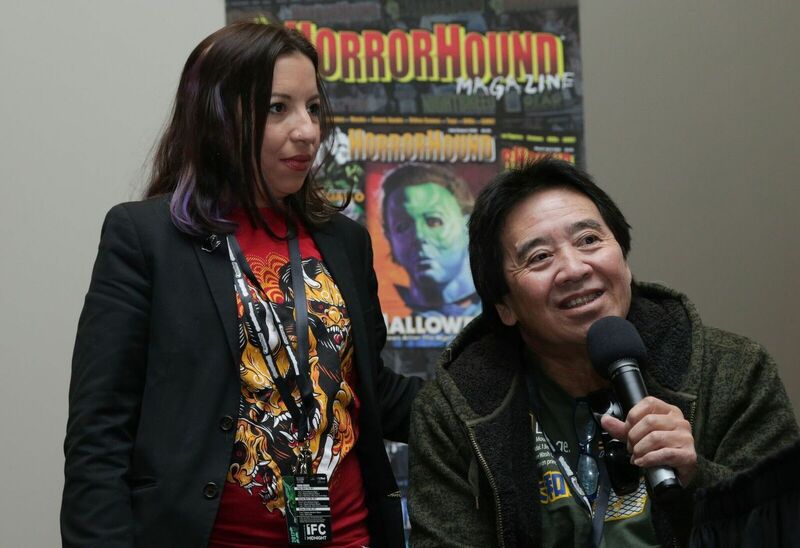 Moviemaker Albert Pyun (Interstellar Civil War: Shadows of the Empire) with Dr. Michelle Conty (H2F2 Assistant Director) during the Indie Filmmaker Panel Discussion. There have actually been a few films born at HorrorHound: Filmmakers meet and start talking, and the next thing you know they’re working on a project together. It compares to Disney Land in that it’s every horror fan’s fantasy. You walk into a building, and there’s Kane Hodder, there’s Bruce Campbell, there’s Stewart Gordon, there’s John Carpenter. We give out six awards: Best Feature, Best Short, Best Director, Best Actor, Best Actress, Best SFX. At every event, we also give out our Legend Award. 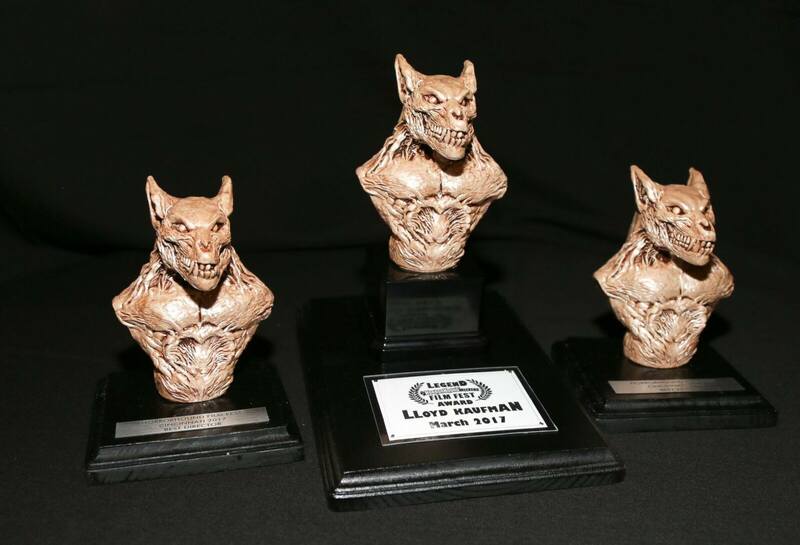 The Legend Award is for those that have made a true impact in independent film and the horror genre. Most recently we gave it to Tom Holland, and we’ve also given it to Lloyd Kaufman, and Clint Howard. HorroHound Film Festival is currently accepting submissions for its upcoming HorrorHound Weekend in Indianapolis (August 24-26). All images courtesy of HorrorHound.